See how clever this site is with colloquialisms? I took that "early grave" idiom and applied it to this game right here about cemeteries! So clever! More clever than Graveyard Keeper, in fact, as much as that fact pulls the bones from my body and places them in the wrong tomb. That's right, I'm not going to stop with the inane cemetery jokes throughout the rest of this, autocrats, because this game buries itself without a vault about half an hour into it. What I'm saying there is get ready for your drinking water (read: love of sims) to be tainted by embalming fluid and unnecessary rot (read: the actual gameplay). I really, I mean really in italics, wanted to enjoy Graveyard Keeper. The graphics are 16-bit era Squaresoft good, the music is goofy and black-comedy grim, the controls stellar, just uh it could have been the best! Just scope the blurb on the Steam page: "Build and manage a medieval graveyard while facing ethical dilemmas and making questionable decisions. 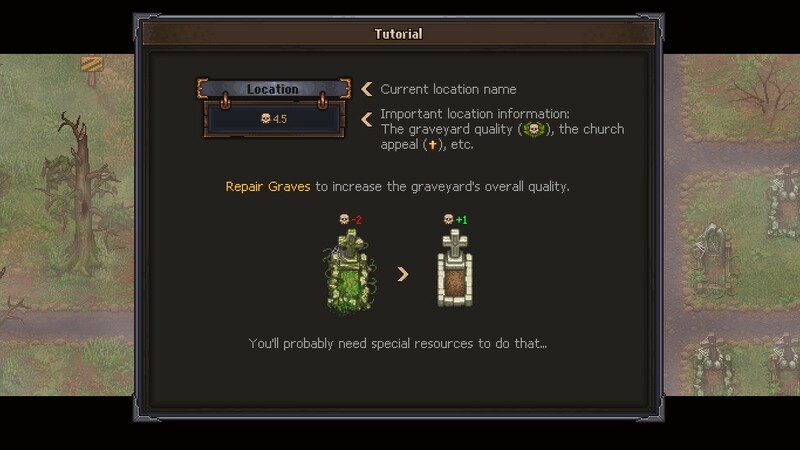 Welcome to Graveyard Keeper, the most inaccurate medieval cemetery sim of the year." I mean, right? Right?!! That's possibly the greatest blurb ever written, but man do they blow it and toss the bones into the river without Christian burial. I was really holding out for Lazy Bear Games, but stress on the lazy part. I also suspect the publisher, the massive tinyBuild, has rolled over so many times in their grave because of this one that they're ground themselves into dust. Funny, you can kind toss bones into a river in this game, but sadly it's one of the few cemetery elements you're actually going to find in it. The premise is spectacular; you play the role of a young man who dies and then finds himself in some mystery world that places him in the medieval period, running a cemetery, which the game hints you can escape from if you become the greatest sexton who ever lived. It's beyond inventive, it's revolutionary. You're greeted eventually by a talking, moving skull, as well as ghosts, villagers, and different characters, and your task is to keep up the cemetery, bettering graves, disposing of unwanted bodies in the river, performing autopsies, selling the flesh on the black market, and so forth, in an effort to raise the worth of the cemetery and church that stands within it. Those dark elements were one of the things that sold me on it, but then the programmers performed a mass burial of the entire playing community and they don't even bother to cover us with earth after, they just leave all our bodies right there for whatever happens. Where this game rots away into black, ammonia-smelling sludge (real cemetery reference there, friends) is when you go further into it. As you'd expect various tasks and skills are explained to you when first encountered, a general requirement for a sim. 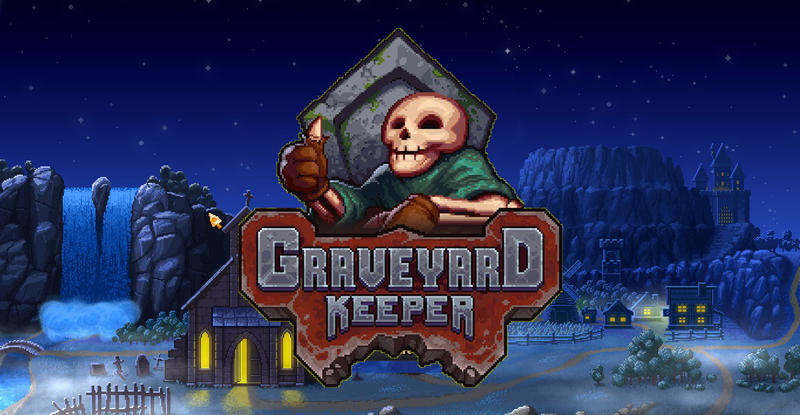 As you progress, however, Graveyard Keeper shows two glaringly obvious and moldering weaknesses. One, goddamn it far too much grind. Most play is totally wasted doing things like gathering moths for a reason I can't remember, honey for some guy who gives you another task, and far more than I care to mention. WTF does this have to do with my damn cemetery? Some of that is fine, but it's practically 80% or more of the game. The more I wanted to delve into the grave digging, the less the game went in that direction, with me focusing on developing skills that had no clear point or which are not implemented yet. That's because there are clearly several parts of this game unfinished and intended for future updates, if they happen, so excuse me but cremate me already. As this game proves burials are too expensive these days. 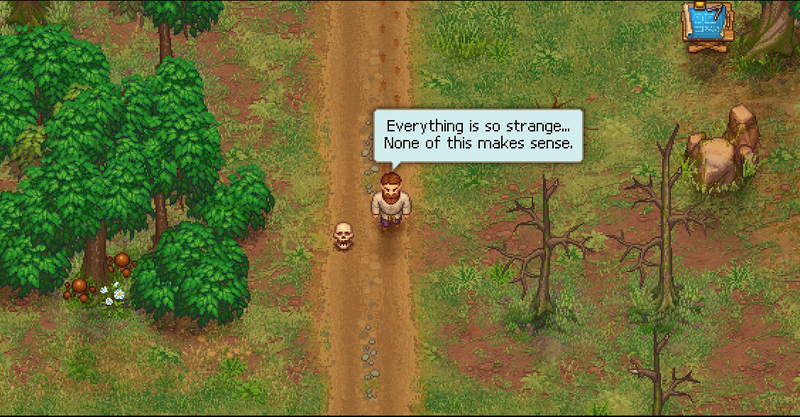 I tired of Graveyard Keeper in only a little over an hour, and I could care less. I'm pretty sure I died and the funeral home took the money and buried my body out back. I've heard the "ending" is more of a joke, and noted a ton of people in the forums complaining about it. For this to be where it needs to be, please follow the title of your own damn game! For now, hold off on paying anything for it, wait to see where the updates go, when and if they come, see reaction first, and then consider picking up the shovel I cast aside. It's on Xbox and some other platforms outside of Steam, but the same recommendation applies.